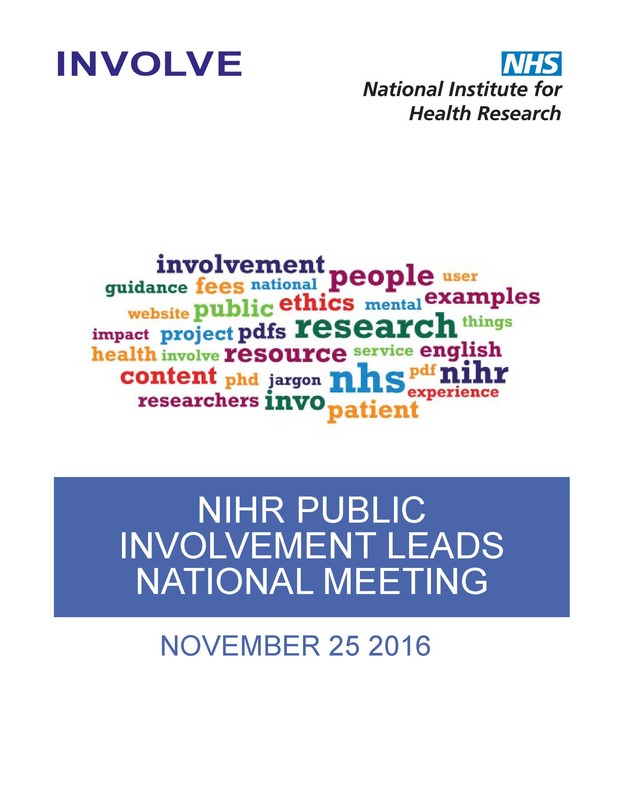 In November 2016 INVOLVE hosted a national meeting of public involvement leads from across the National Institute for Health Research (NIHR), Academic Health Science Networks (AHSNs), and Medical Research Charities. INVOLVE and work programmes supporting delivery of Going the Extra Mile Recommendations. Network: with colleagues and support collaboration. Over 100 public involvement leads and people in other similar roles participated in the day, and there was high demand for places. A list of those attending can be found here. This was the second time a meeting has been held; the first being in July 2014 with approximately half of participants being present at this first meeting.